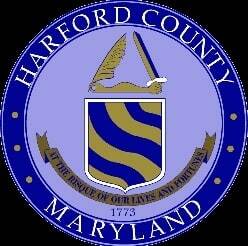 Harford County is located at the northernmost part of the state. It is geographically situated between Cecil County (to the east) and Baltimore County (to the west). Harford County's northern border is the Mason-Dixon Line. No doubt, it is a traditionally rural county that still has a deep connection to its agricultural past. It is also home to many military families because Aberdeen Proving Ground is located here. 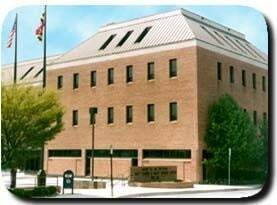 The demographics are important because they can give an idea of what an average jury looks like in Harford County. It has a population of 244, 826. According to the 2010 census, the population is comprised of 81.2% white, 12.7% black, and 3.5% Hispanic or Latino. 24% of the population is under age 18, and 12.8% of the population is 65 or older. 91% of people over age 25 are high school graduates, and 30.5% have a bachelor's degree or higher. The median household income is $77,010. The major cities in order of population, are Aberdeen (14,959), Havre de Grace (12,952), and Bel Air (10,120). Bel Air is the county seat. It is home to the Aberdeen IronBirds, a minor league baseball team founded by Cal Ripken, Jr. The largest civilian employer is the Aberdeen Proving Ground. There are two hospitals in Harford County. Upper Chesapeake Medical Center (Bel Air) (the second-largest private employer in the county): you can read about malpractice claims against this hospital here. Medical malpractice cases involving these hospitals are sometimes tried before these juries though plaintiff's lawyers sometimes try to move the cases elsewhere because of a reputation for conservative juries. In 2010, there was a $3.5 million medical malpractice verdict against Upper Chesapeake in a vascular surgery that leads to spinal cord infarct resulting in paraplegia. Still, this jurisdiction has a reputation for extremely conservative jury verdicts. This is a jurisdiction that most plaintiffs' personal injury lawyers are reluctant to file suit in if an alternate venue is available. I think this is changing this area is becoming more cosmopolitan (particularly Bel Air) and we now see better jury verdicts there. More so than in the past, juries in many cases seem to appreciate the full extent of injuries in cases where liability is proven. There are so few reported from Bel Air. Here are a few more sample settlements and verdicts in this jurisdiction in different types of tort cases. Obviously, these verdicts are not representative cases and you cannot use these cases alone to ascertain the value of your claim. 2018: $1.67 Million Verdict. A 57-year-old man is admitted to Harford Memorial Hospital because he has abdominal pain and is losing weight. He is treated by a doctor for Harford Gastroenterology Associates. The gastroenterologist suspects a rare but treatable condition. The doctor orders a CT scan but then cancels it. His mistakenly believes the man is allergic to the die used in the CT scan and is discharged. A few days later, an artery leading to his intestines is blocked. Tragically, the man dies at the emergency room at UMMC in Baltimore. 2016: $39,271 Verdict. A 39-year-old mother is a back seat passenger in a vehicle being driven by her mother. They are traveling in the middle lane of 95 when a tractor-trailer, driven by defendant, moves into the middle lane and strikes their vehicle. This lifts the vehicle onto its driver’s side. The woman suffers face, head, neck, and back injuries. She files this claim, alleging negligence in the defendant’s operation of the truck. A jury awards her $39,271. 2015: $390,000 Settlement. This settlement involved a 53-year-old accountant who was involved in a five-car chain collision on an interstate highway in Harford County Maryland. Liability was strongly contested since the sequence in which the vehicles struck each other was in dispute and even the official police report had the vehicles listed in the wrong order. Plaintiff was rendered unconscious in the collision and suffered from post-traumatic amnesia so that he could not testify as to what happened. In fact, Plaintiff originally came to our firm for legal representation out of a concern that the other parties would sue him for causing the collision. Plaintiff’s own liability carrier had already contributed to a settlement with one of the claimants ahead of Plaintiff’s vehicle. Plaintiff suffered a closed head injury, an internal carotid artery aneurysm, a vertebral artery dissection, rib fractures, a celiac artery injury, and blunt abdominal trauma, although he thankfully recovered without permanent impairments. Our investigation of the happening of the collision through numerous depositions and accident reconstruction efforts established that Plaintiff was not only rear-ended by a commercial vehicle but also was cut-off by another vehicle that changed lanes in front of him almost at the same moment he was rear-ended. Both the commercial vehicle’s carrier and the lane-changing vehicle’s insurer contributed to the settlement. Miller & Zois handled this case. $1,000,000 Verdict. Hart Heritage Nursing Home in Harford County is sued by the family of an elderly woman for the most classic type of nursing home case we see: pure neglect that causes a horrific and easily avoidable death. An aide determines that an 86-year-old woman is ill after she discovers her to be feverish. A certified aide was to examine the woman but never does. During the changing of the staff, no mention of the elderly woman’s condition is exchanged. The woman is discovered later that evening, having had several bouts of diarrhea and vomiting. She is also determined to be suffering from rectal bleeding. Her son arrives to see her at 8 a.m. the next day and the doctor is immediately contacted. The woman dies before the paramedics reach her. A Harford County jury determines the nursing home cause her pain and death and awards $1 million. The damage award is reduced to $710,000 according to the Maryland cap on noneconomic damages in nursing home cases. $64,221 Verdict. Plaintiff, a 22-year-old daycare worker, is the passenger in a vehicle when the driver loses control and strikes a tree. Both individuals are extricated from the vehicle through the roof and taken to a trauma center for treatment. A year later, Plaintiff presents to her primary care physician with complaints of ongoing neck and back pain dating back to the accident. She is referred for physical therapy and eventually completely recovers. Plaintiff files suit claiming approximately $15,000 in past medical expenses and $108 in lost wages. Defendant concedes liability but disputes the severity and proximate cause of Plaintiff’s injuries. Defendant argues that the injuries sustained should have resolved spontaneously in the months after the accident. The jury disagrees and awards the Plaintiff $64,221 in damages. $3,557,398 Verdict. Plaintiff is left paralyzed from the waist down after a surgical procedure, She files suit against multiple Defendants claiming that her surgery was done improperly and that she suffers from unexpected complications. Plaintiff contends that the wrong size graft was used in an axillofemoral bypass, a procedure to repair a blocked aorta. Plaintiff presented testimony from nine expert witnesses. Plaintiff was awarded $3,557,398 in damages, which was reduced to $2,874,398 by Maryland’s cap on non-economic damages. This case was remanded back to the Circuit Court for a new trial after the defendant's successful appeal. Our lawyers have extensive experience in this jurisdiction. Contact us with any questions you have, or for an analysis of the value of your case. If you had a serious auto accident or medical malpractice injury in Hartford County, call us at 800-553-8082 or get a free online consultation. Sample pretrial scheduling order: how fast will a case proceed in Hartford County?